Police have revealed some of the “ridiculous” excuses offered by drivers caught using mobile phones as a warning to others. A total of 66 crashes have been caused on Lancashire’s roads in the past five years by motorists either making a call or texting at the wheel. It took days for me to get over the fright. And it cost me hundreds of pounds to fix the car. Officers say a split second’s loss of concentration could have fatal consequences. 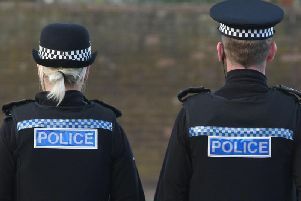 And, in an attempt to highlight the dangerous practice, the county’s constabulary has lifted the lid on the sorts of reasons drivers have given when stopped. And one man pulled over at a checkpoint in the county was talking to his dad – who had rung to warn him after he had been caught himself moments earlier. “Yes dad, I’m with them now,” he was heard to say. “We regularly catch people using a hand-held mobile phone while driving,” said a Lancashire Police spokesman. “It only takes a few seconds distraction from a mobile to cause a collision, which can have fatal consequences. If we are to reduce the number of fatalities and casualties on the county’s roads it is vital people comply with the law.” One driver, a lecturer from Kirkham, admitted to still being “freaked out” when he thinks of what could have happened the day he hit a chunk of wood in the road and crashed his car while on the phone. “I always used to be on the phone to the wife or friends on the way home from work, thinking it was a good time to sort out the social life,” confessed 39-year-old Colin Lowe. One such lapse in concentration by a motorist ended in the death of Preston cyclist Paul Fingleton, 47, at the Broughton roundabout. Former racing driver Frank Wrathall, 27, from Barnacre, near Garstang was on the phone to his girlfriend when his car collided with Mr Fingleton as he cycled home to Fulwood. He was jailed for 21 months for causing death by careless driving. It is illegal to use a hand-held mobile phone while driving or while stopped with the engine on, meaning drivers who check their device while stopped at traffic lights are still breaking the law. Anyone caught faces a £100 fine and three points on their licence. There are moves to increase those penalties this year. Drivers can end up in court if they fail to pay or if police decide the offence is more serious. “Using a mobile phone while driving increases the risk of crashing and injuring or killing innocent people.